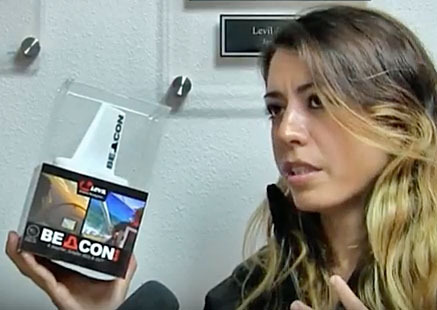 Ananda Leon talks to us about the new Levil Beacon. I don't really know when the Leon family sleeps. They must, of course, but their steady output of high-quality, reasonably-priced products that pilots need must make for many long workdays. Recently, our friend Jim Moore of AOPA wrote about Levil's BOM (Broadcasting Outer Module — and here's our video about that). BOM is an innovative, self-powered device that you merely hang on the wing and without further installation, it offers a wide variety of information to an iPad or Android tablets (several of them at once), transforming these relatively-low-cost consumer devices into full-blown ADAHRS instrument panels. 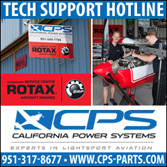 Pilots flying Type Certified Cessnas and other GA aircraft love this solution as it is effective and cheap, and does not violate their airplane's Type Certificate. BOM offers LSA and Experimental Amateur Built pilots a way to keep their investment far lower while largely keeping up with our most deluxe Light-Sport Aircraft running Dynon, Garmin, or MGL's fine panel-mounted instruments. BOM and other Levil products are great and have seen great acceptance by LSA and EAB pilots. Yet every airplane owner has an FAA mandate to follow: ADS-B Out. If you want to fly into many kinds of airspace by 2020 you must have some device to work with FAA's long gestating NextGen airspace control system. Adding ADS-B Out can be very costly, anywhere from a few thousand dollars to potentially many thousands on more complex, certified aircraft. 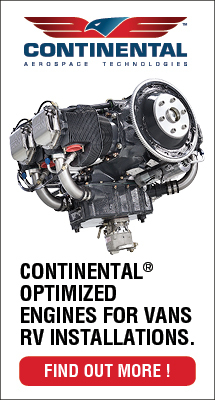 Conventionally-certified airplane owners have little choice but to invest more, however, LSA and EAB pilots now have a new solution at the best price I've heard. Consider Levil's Beacon. The video below features Levil's Ananda Leon explaining the concept of Beacon. She also gives some Levil history and speaks to her own significant capabilities including creating software that makes these little devices do their magic for you. 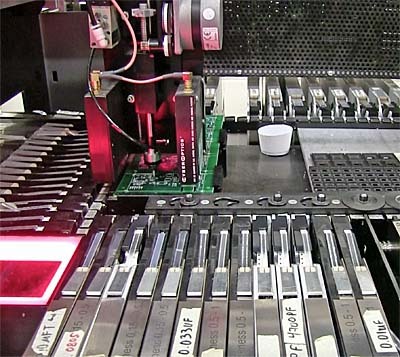 Manufacturing Levil's Beacon using robotic equipment to place many tiny components efficiently. 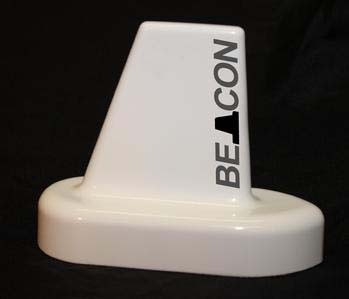 Beacon is a largely self-contained solution. That's excellent as the cost of adding ADS-B Out capability involves both hardware purchase and installation expense or effort. 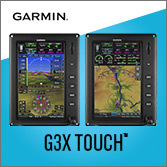 Most ADS-B Out devices are some kind of box installed in the cockpit. That box must then be "plumbed" to gather data from other devices or boxes and then connected to an antenna located outside the cockpit. No wonder the cost can run into the thousands. No matter the expense, FAA is demanding you install this or stay out of airspace you may wish to enter. Beacon is a welcome light in this darkened space. Presently priced at $1,395 retail, the small antenna has all the elements needed to perform its function. 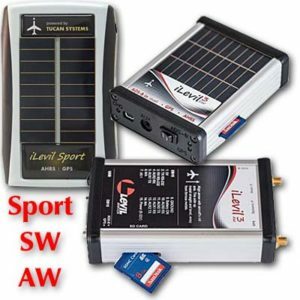 You only need to bring power to it and connect it to a GPS antenna (which you probably already have on your LSA or EAB). All the hardware pieces are contained in this small antenna, and I watched its production to see this is carefully built to withstand the rigors of weather, vibration, and time. Levil packs a lot into what looks merely like an antenna. I don’t really know when the Leon family sleeps. They must, of course, but their steady output of high-quality, reasonably-priced products that pilots need must make for many long workdays. Recently, our friend Jim Moore of AOPA wrote about Levil’s BOM (Broadcasting Outer Module — and here’s our video about that). 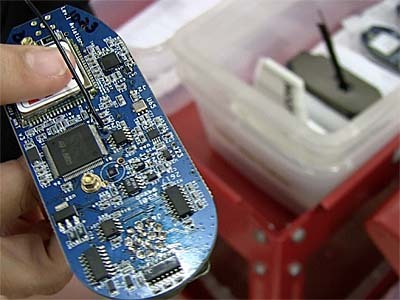 BOM is an innovative, self-powered device that you merely hang on the wing and without further installation, it offers a wide variety of information to an iPad or Android tablets (several of them at once), transforming these relatively-low-cost consumer devices into full-blown ADAHRS instrument panels. 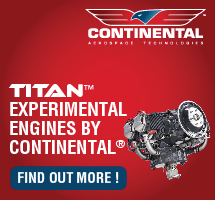 Pilots flying Type Certified Cessnas and other GA aircraft love this solution as it is effective and cheap, and does not violate their airplane’s Type Certificate. 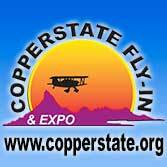 BOM offers LSA and Experimental Amateur Built pilots a way to keep their investment far lower while largely keeping up with our most deluxe Light-Sport Aircraft running Dynon, Garmin, or MGL’s fine panel-mounted instruments. In the new world of BasicMed — got that shortened phrase in your vocabulary yet? — more pilots seem likely to return to the air. While some worry about what this means for sales of Light-Sport Aircraft and light kits that can be flown without a medical, I'm not worried. In fact, more pilots returning to the skies means more prospects for LSA airframe manufacturers and sellers, including pilots selling a LSA they already own. Welcome back to blue skies, aviators! 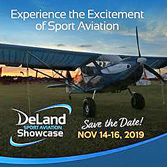 One company deserves to be in the focus of those returning pilots as well as the legions of current recreational or sport pilots (...that is, those of you who haven't been sweating the medical requirement because you have been flying your LSA and light Sport Pilot-eligible kits). I refer to a company that is a neighbor of mine here in Florida: Levil Aviation. Levil makes those little boxes that are capable of making your iPad much more useful. Without Levil, these screens do some great work, no doubt. Yet they can do much more! Now, Levil Aviation has a new-and-improved iLevil 3 that I want to describe for you. 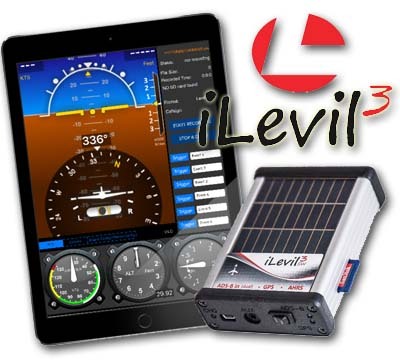 iLevil 3 boasts all the same features of units past (dual band ADS-B, WAAS GPS, AHRS*) and adds the following — an ability to accept a standard SD memory card which will record and save all of your flight information. This information can then be transferred into an Excel spreadsheet to present a clear picture of your flight (position, airspeed, altitude, attitude, and more). For those of you who enjoy X-Plane on your computer or device, iLevil 3's data is saved in FDR format allowing users to replay their flight in X-Plane Flight Simulator. Cool, huh? 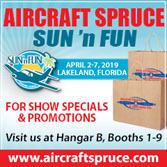 The central Florida company sees this recording feature becoming a useful tool in this industry, for example, in a flight school environment to recreate a training flight in a safe, calm environment. Or, those doing flight testing in a new aircraft can now have access to valuable information with minimal effort and costs. Levil Aviation marketing man Larry Rivera added, "Available on the iLevil3 AW model (the bolted-on unit; see photo, lower right) is a new optional GPS source meets the position source performance requirements for ADS-B out in the experimental aircraft market (according to FAA regulation 91.227)." 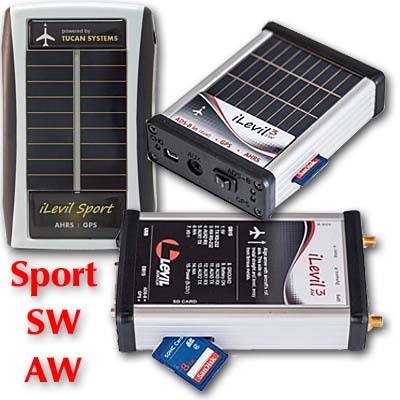 Further the newest AW model can communicate with currently installed transponders (mode-S), to activate extended squitter, meeting the 2020 ADS-B mandate on experimental and Light-Sport. Levil recommends using one of Trig Avionics' transponders for this capability. Levil general manager Ananda Leon said, "We always strive to enhance our current products by looking for ways to add functionality and usefulness to the instruments we manufacture. As a company that is owned and operated by pilots for pilots, we try to add features that we feel would make the overall flying experience safer, informative, and fun." Levil Aviation was the first to manufacture a standalone AHRS* unit for iPad, eventually developing and introducing the iLevil all-in-one avionics products for iOS and Android leading to the release of the iLevil 3. *AHRS is an abbreviation for "attitude and heading reference system" using sensors for three axes to provide attitude information including roll, pitch and yaw. In the new world of BasicMed — got that shortened phrase in your vocabulary yet? — more pilots seem likely to return to the air. While some worry about what this means for sales of Light-Sport Aircraft and light kits that can be flown without a medical, I’m not worried. In fact, more pilots returning to the skies means more prospects for LSA airframe manufacturers and sellers, including pilots selling a LSA they already own. Welcome back to blue skies, aviators! One company deserves to be in the focus of those returning pilots as well as the legions of current recreational or sport pilots (…that is, those of you who haven’t been sweating the medical requirement because you have been flying your LSA and light Sport Pilot-eligible kits). 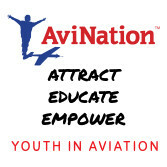 I refer to a company that is a neighbor of mine here in Florida: Levil Aviation. Levil makes those little boxes that are capable of making your iPad much more useful. 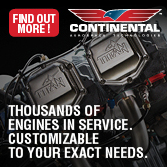 You've probably heard of TruTrak, the leading autopilot maker for light aircraft of many descriptions. You've probably heard of Levil, certainly so if you employ and iPad or other tablet to assist your flying. Now consider ECO a new autopilot that boasts some great qualities: lighter weight, easier installation, lower cost ... but that's not all. ECO also allows something called AP or Automatic Envelope Protection and that's where Levil enters the autopilot picture. This video will provide many more details on this cutting-edge technological development. You’ve probably heard of TruTrak, the leading autopilot maker for light aircraft of many descriptions. You’ve probably heard of Levil, certainly so if you employ and iPad or other tablet to assist your flying. Now consider ECO a new autopilot that boasts some great qualities: lighter weight, easier installation, lower cost … but that’s not all. ECO also allows something called AP or Automatic Envelope Protection and that’s where Levil enters the autopilot picture. This video will provide many more details on this cutting-edge technological development. Our video with Levil's Joe Marszal starts out with something absolutely new at AirVenture 2014. 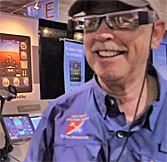 You can see Dan Johnson modeling and using AeroGlass, which might be called "Google Glass for pilots." 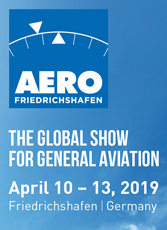 The developer had a blow-out event and Levil, makers of GPS and AHRS systems for iPad and Android tablets, partnered up with the AeroGlass folks to power a fascinating heads-up display that can be used in a Light-Sport or homebuilt aircraft. Some great info is contained on this video. Our video with Levil’s Joe Marszal starts out with something absolutely new at AirVenture 2014. You can see Dan Johnson modeling and using AeroGlass, which might be called “Google Glass for pilots.” The developer had a blow-out event and Levil, makers of GPS and AHRS systems for iPad and Android tablets, partnered up with the AeroGlass folks to power a fascinating heads-up display that can be used in a Light-Sport or homebuilt aircraft. Some great info is contained on this video.